Another happy Toast Tuesday! Had to go with this classic: cream cheese and jelly. 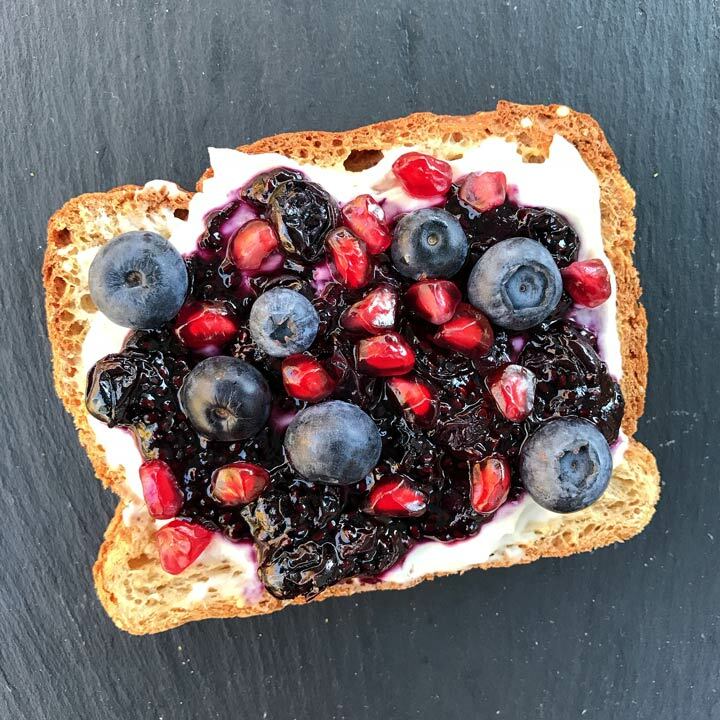 Canyon Gluten Free 7-Grain toast topped with Organic Valley cream cheese, homemade blueberry chia jam, fresh blueberries and pomegranates. In the spirit of the day and so yummy! I highly recommend the homemade blueberry chia jam by the way. This recipes is from Nourish Me Mum. Its simply blueberries, lemon juice and zest, maple syrup, vanilla, a pinch of pepper and chia seeds. It takes a mere 10 minutes to prep and takes everything up a notch!